My problem with dedicated devices like the Kindle is that they quickly become obsolete. I would much rather see a book reader like this built into the iPhone, which is a multi-purpose device as oppossed to having to carry another device around. 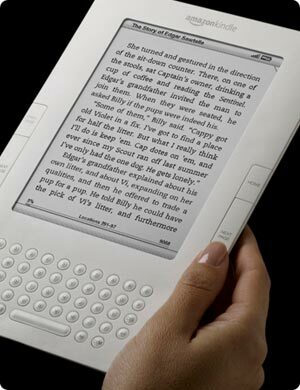 Actually, I understand that Amazon recently released an iPhone App, "Kindle for the iPhone" that could do the trick. I haven't tried it yet, so I don't know how good it is compared to the "real thing." Harlan tells me that the second edition of WFA has been released in digital format for the Kindle. Maybe that will force me to break down and buy one or at lest try the "Kindle for the iPhone" App. 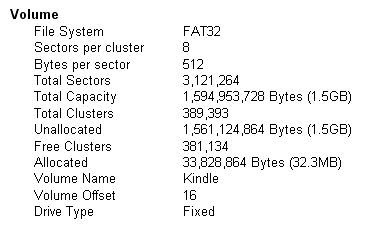 Just wondering how your "forensics of a Kindle" research is coming along?. Any new developments with your Kindle forensics? If you are still interested in Kindle forensics, especially concerning acquisition and analysis, I recently finished a project with the Champlain College Center for Digital Investigation on the topic. We were able to acquire the device fully (including the file system), and even automate the process to do so with a simple bash script. I will be porting this script to python soon. I so totally love my Kindle! Frankly I did not buy it for its looks. The connection to Amazon with their book deals is great; I dont have books all over the house which are overwhelming us; it is light and I can easily carry it everywhere. I can read several books at a time, just pushing buttons to switch back and forth. This is all personal but I bought it on the recommendation of others who love theirs too.